The retiring Republican Sen. Jeff Flake of Arizona urged members of his political party to challenge the president, days before he is scheduled to retire from Capitol Hill. Flake had terse words for Trump, who despite saying he was “proud to shut down the government,” flipped and blamed Democrats for the ongoing partial government shutdown. “Anytime you stand and say ‘I own the shutdown,’ then you own it,” Flake said. 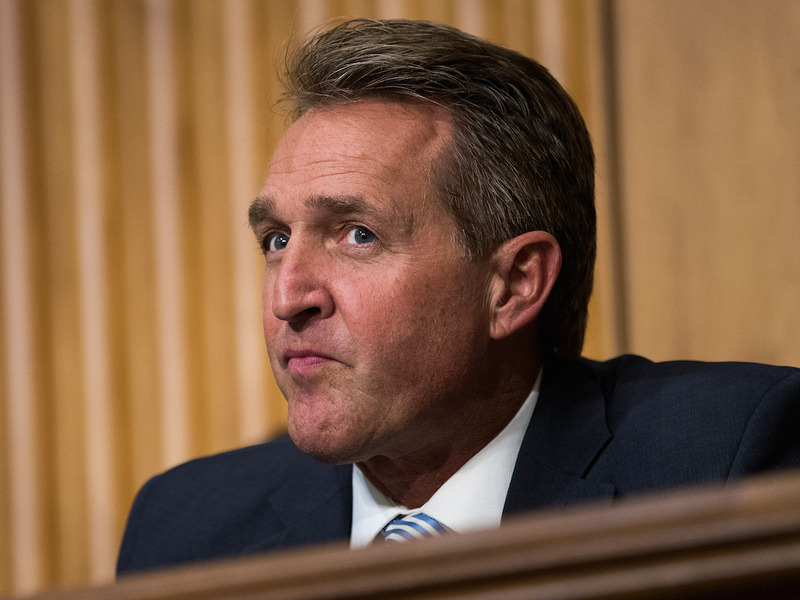 Sen. Jeff Flake of Arizona, one of the few outspoken Republican critics of President Donald Trump, urged members of his political party to challenge the president, days before he is scheduled to retire from Capitol Hill. “Somebody does need to challenge the president,” Flake said in a Friday interview with CNN White House correspondent Jim Acosta. “I think that the country needs to be reminded what it means to be conservative, certainly on the Republican side, and what it means to be decent as well, because we need a lot more of that in our politics,” Flake said.